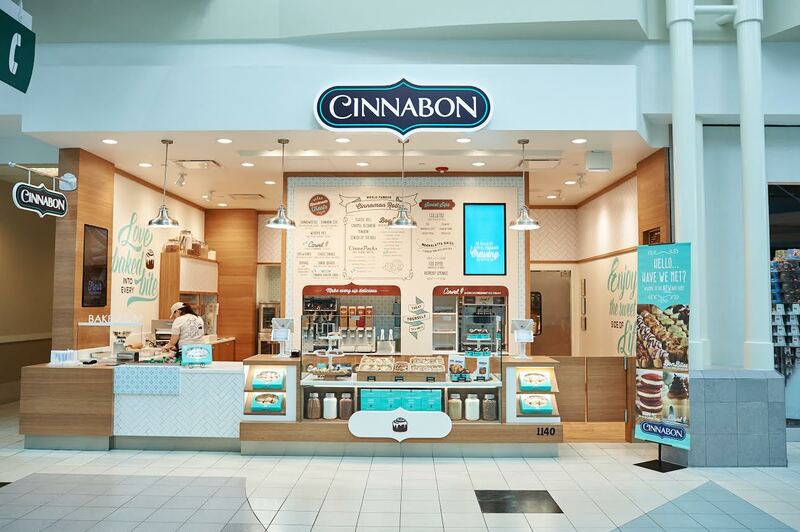 Cinnabon debuts new look at suburban mall. 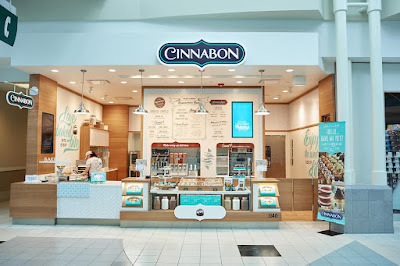 Atlanta-based Cinnabon recently opened a new location at North Point Mall in Alpharetta. The "Bake Shop" design made its Atlanta debut at Cumberland Mall last year, although the North Point location reflects an evolution of that design.  Both the Cumberland and North Point locations are corporately owned. The 880 square foot, inline location is situated across from the Build-A-Bear Workshop in the Dillard's wing on the mall's first floor. Cinnabon previously had a location on the upper level of North Point Mall but it closed "over 10 years ago," according to their corporate office. One item being introduced at the North Point location is a Whoopie Pie which features the same batter used in a previously tested, but abandoned cupcake offering. The North Point Bake Shop also offers assorted varieties of Carvel soft serve ice cream flavors. (Both Cinnabon and Carvel are owned by Atlanta-based FOCUS Brands.) The Carvel component allows for the location to offer another new decadent treat, the Cinnabon Sundae, which combines chunks of Cinnabon with Carvel soft serve. Coming in at 900 calories, the sundae is not actually that bad when you consider a classic Cinnabon has 880 calories. The new Bake Shop marks the debut of Cinnabon's new logo, being tested at North Point, and set for a more widespread launch next year. Cinnabon is currently celebrating its 30th anniversary. Kat Cole, previously President of Cinnabon, is today Group President over multiple FOCUS Brands concepts. Cole led Cinnabon's efforts to expand their brand via consumer goods and restaurant partnerships, and today oversees similar efforts in the portfolio. As a result of the partnerships, Cinnabon is today a "billion dollar brand." Cinnabon currently has over 70 partners creating anything from Cinnabon flavored chap stick and coffee, to Cinnabon flavored vodka and air fresheners. There are currently about 300 mall-based Cinnabon locations. 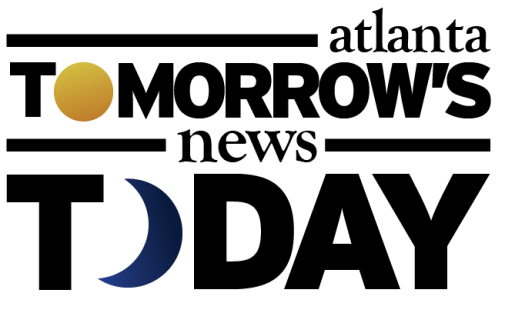 The chain previously had multiple locations in Lenox Square but today has none. Corporate reportedly views Atlanta as a "growing market." What are your thoughts on the new look of Cinnabon? Where would you like to see a Cinnabon open next? Have you tried wither the new whoopie pies of Cinnabon Sundae, if so, what were your thoughts? I haven’t eaten at a Cinnabon in years, but during a recent visit to Lenox a friend and I decided to indulge. However, after a brief search, we realized there was no longer a location at the mall. How can you not have a location in Atlanta’s most popular mall? Kat Cole was a genius for putting their name on different types of products. Yogli Mogli had a cinnabon flavor for about 5 minutes, and it was delicious. Love the new look! It is very bright, perfectly located and naturally had me curious to go beyond the Cinnabon which is great for a person who loves having options.I grew up on Carvel so that took things over the top for me!Can you say FAN!!!!! Great job and continued success. Noticed it on my last trip to North Point. Even though its away from the food court its still a pretty good location, in the same wing as the movie theater as well right in a row with the Disney and Lego stores. Can't wait until I get my Obamacare electric mobility scooter so that I can check out the new Cinnabon!